Today we are going to be talking about Rachel's Organic as part of my focus on the Organic September campaign which is all about encouraging people to try out organic products and potentially switch out some of their everyday choices for the organic versions in the long term. To give a bit of background on the company, Rachel's is based in Aberystwyth in West Wales and is Britain's first organic dairy and pioneer of branded organic dairy produce. All products are made with high quality, pure, organic ingredients without any artificial colours, flavours or preservatives, which made them an obvious choice to include in this series. I was kindly sent a couple of pots to try out for myself including a hotly anticipated new flavour which I'll go into more below. Firstly let's talk about one of their classic, staple flavours, the low fat natural yogurt pot*. It is less than 2% fat which is awesome for my diet plan and made from lovely and creamy organic milk which gives it a nice and mild yet delicious taste. It's perfect either alone, mixed with berries like strawberries and blueberries, poured over a fruit salad or used in recipe ideas such as sauces, dips and marinades. I love it when products are multi use, it means you get better value when you buy the bigger pots as you can use the yogurt across different meals. Next let's move on to the new flavour! I was so excited to try this out and you will see it in shops soon so keep an eye out in your local supermarkets or organic food shops. 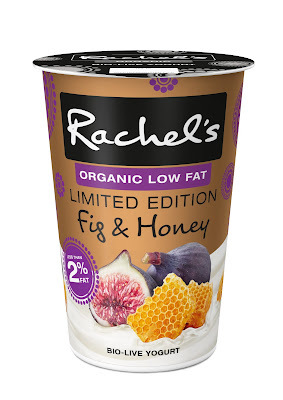 I am pleased to announce that the new flavour is the Limited Edition Fig & Honey*. 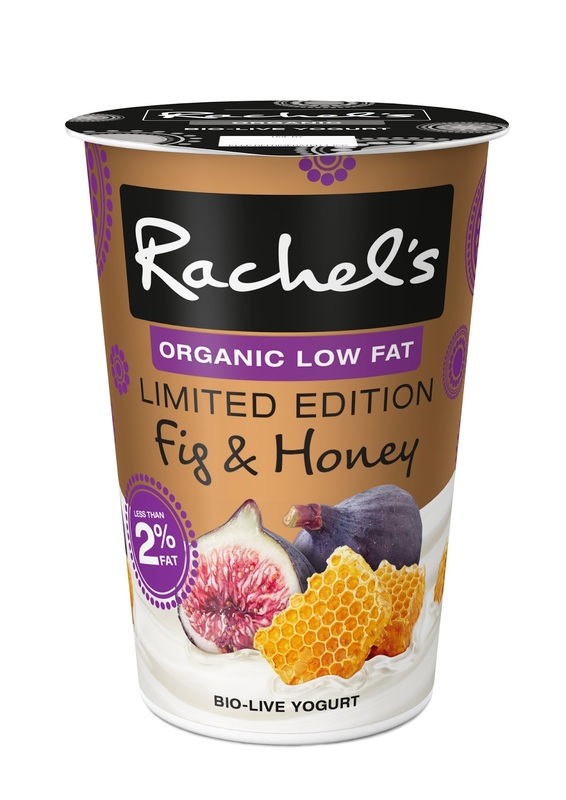 This variety is a moreish mix of sweet figs and honey mixed in with Rachel's signature creamy low fat organic yogurt and is absolutely divine, seriously. On it's own it is a delicious sweet treat, but it would be awesome used in desserts as well. In addition to the range of yogurt pots there are also dessert options and milk, cream and butter. To check out all of the products available you can whizz over to http://www.rachelsorganic.co.uk/range and after that be sure to check out the recipes section which has delicious ideas such as Chocolate Ganache Cupcakes with Homemade Marshmallow Fluff. 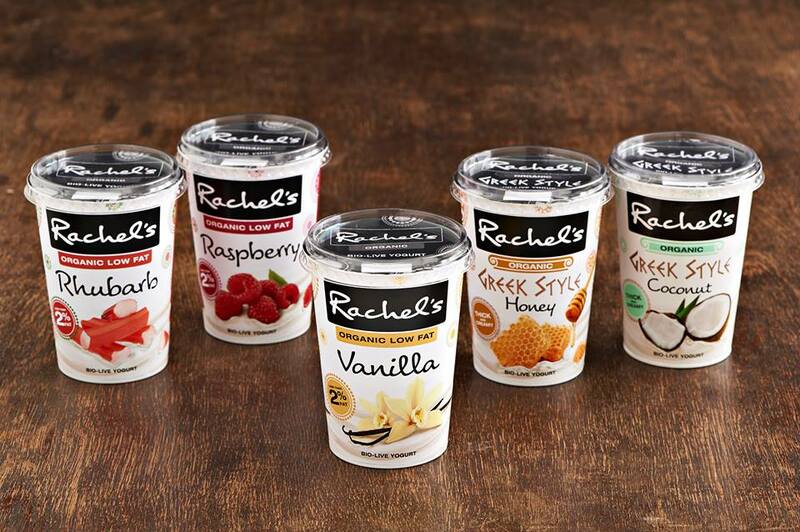 Here at Rachel’s, we believe that our organic dairy products not only taste delicious but, because they are made with care using only the very best organic ingredients, they are also better for you and your family. The Soil Association reports that, on average, organic foods contain higher levels of vitamin C and essential minerals such as calcium, magnesium, iron and chromium, as well a variety of antioxidants. What’s more, the delicious organic milk that we use in our products is naturally higher in Omega 3 fatty acids, Vitamin E, Vitamin A and some other antioxidants than conventional non-organic milk. Omega 3 fatty acids are believed to be essential for maintaining a healthy heart, supple and flexible joints, healthy growth, strong bones and teeth, as well as improved brain function and memory. It is also believed that a diet rich in Omega 3 fatty acids can help children with learning and behavioural difficulties. The benefits of Omega 3 fatty acids are at an optimum when they are obtained directly from foods making our range of delicious organic dairy products an ideal source of Omega 3. I hope you liked this post and are enjoying Organic September, drop me a comment below with any thoughts on Rachel's products or other products you would like to see covered in the series.